Instead of trying to find your perfect match in a dating app, we bring you the “Author-Reader Match” where we introduce you to authors as a reader you may fall in love with. It’s our great pleasure to present J.A. Hennrikus! 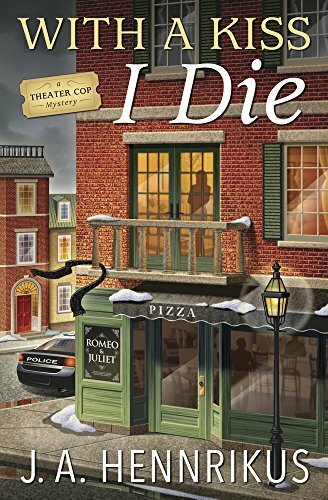 Cozy and traditional mysteries, with my latest release, With A Kiss I Die, #2 in my Theater Cop series hitting the shelves on April 8, 2019. Mystery writer seeks readers who like a good mystery that is combined with a touch of romance against the backdrop of a theater company. What to expect if we’re compatible. Getting to know my other writing personas (Julia Henry and Julianne Holmes). Will the kiss of death claim Romeo and Juliet―and Sully―before opening night? 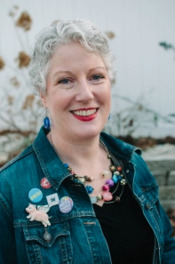 When retired cop Edwina “Sully” Sullivan learns that a production of Romeo and Juliet―which Cliffside Theater’s Dimitri Traietti left town to direct―is in serious trouble, she sets aside her grant applications and heads to Boston to help.